Bohol things to do and seewhere to next? I first heard about the island of Bohol about 10 years ago while researching a holiday that for some reason never happened. Chocolate Hills and tarsier monkeys are the two features that stuck in my memory. It sounded exotic and somewhat Jurassic. Now that I’ve finally managed to get here, I discover a whole lot more reasons to visit. 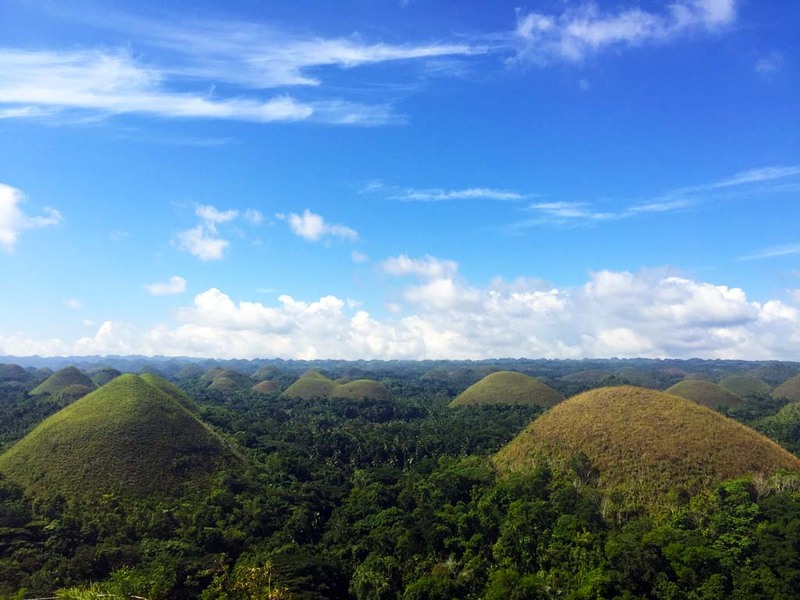 A lush, impossibly green interior (including those Chocolate Hills), white sandy beaches dotted around the edges of this large island, and coral reefs just off shore. 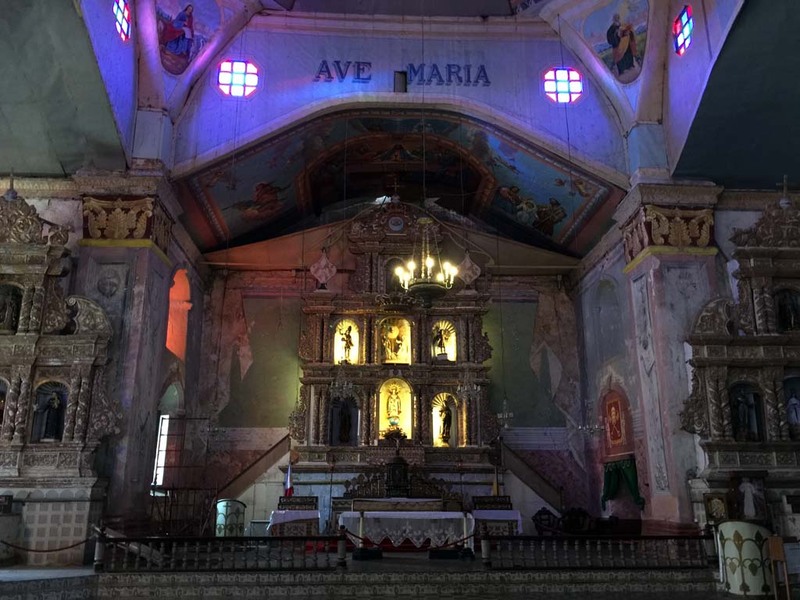 It is actually one of the wealthiest islands in the Philippines archipelago and it has a long Catholic heritage with some of its beautiful churches dating back to 1700’s. We’re staying at Magic Oceans, a brand new dive resort in Anda, a small town that itself is fairly new to development and about a 45-minute drive from the airport. 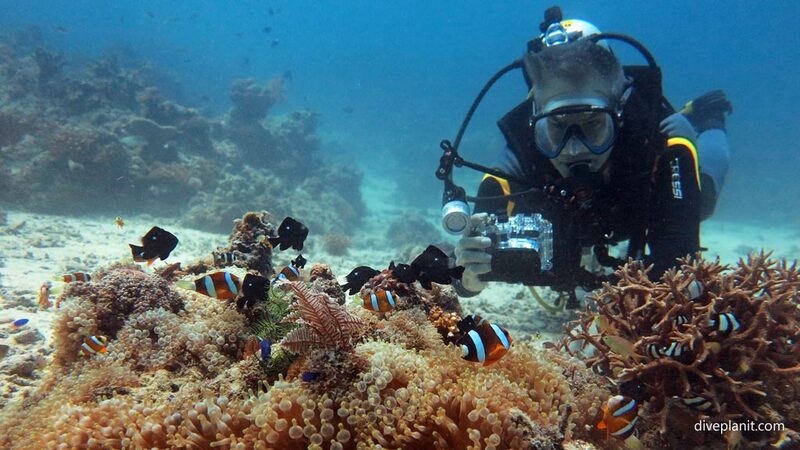 We arrive mid-afternoon are asked almost immediately if we want to go for a dive. Why not? The sea looks incredibly inviting, with a cloudless sky above it giving it a sparkling turquoise hue. Underwater it’s even prettier. We step off the beach into the warm, clear water and within a few metres are surrounded by coral gardens and colourful reef fish. 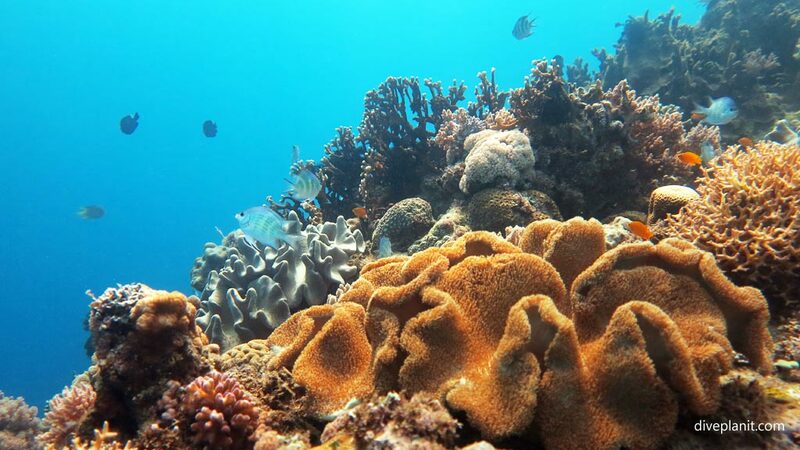 We spend the next two days exploring this reef on the resort’s outrigger-style dive boat, or Bangka as they’re known here. 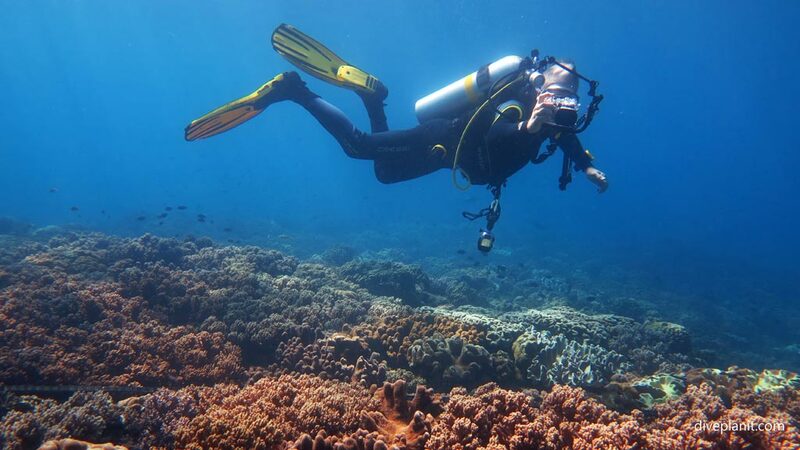 The reef extends up and down the coast on either side of the resort, with dive sites every few hundred metres or so. 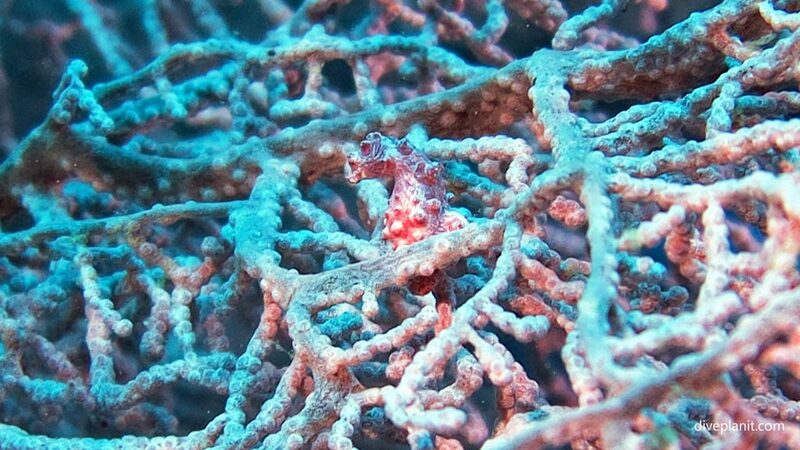 The biodiversity is extraordinary so we get snap happy with our underwater cameras trying to identify each new critter we come across and searching all the while for one tiny creature the area is famous for: the pygmy seahorse. We do eventually find a couple sitting on a large pink fan coral, their colouring and texture so alike that of the coral they’re sitting on it’s almost impossible to spot them. After a couple of days exploring coral gardens we head inland to find the famous Chocolate Hills. They are so called because in the summer the grass on the thin layer of earth covering these almost hemispherical domes turns a chocolate brown. 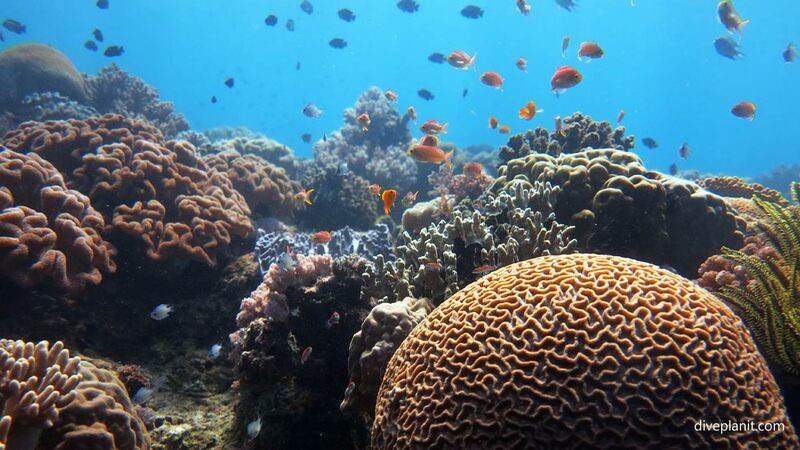 They were created 40 million years ago when the seabed rose exposing these coral rock mounts. The softer material was washed away leaving just over 1,100 of these curious mounts. The lookout point is on one of the highest giving a 360° vista over the hills and the rice fields below. That’s the scientific explanation anyway, but there are lots of local legends about their creation which are far more interesting. Like the story about the giant Arogo who fell in love with a human girl called Aloya. Aloya became ill and died, and Arogo’s tears of sorrow fell on the ground and formed these mounds when they dried. Or then there’s the one that talks of this flat land called Carmen, where the giant children used to play. One day the giant kids made mud cakes, shaping them with giant coconut shells, and left them in the sun to dry, which is where they remain to this day. 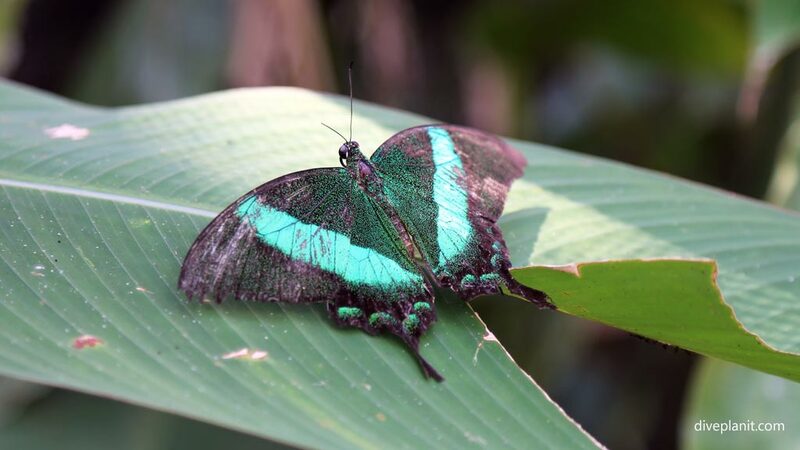 A short drive down the road past the Chocolate Hills you’ll find a butterfly sanctuary called Habitat, our next stop. The friendly guides here walk us through the sanctuary, along the way telling us all about the butterfly life cycle, the difference between moths and butterflies, and point out a few rather amazing features some have developed. Some of the butterflies have an almost holographic colouring on their wings which makes them look drab from straight on but iridescent blue from a certain angle. Another has two strange traits: the first is the ability to smell of chocolate, and the other is to play dead in your hand until you allow it to fall at which point it flies away. After the visit we notice that there are always butterflies everywhere we go – we just hadn’t noticed them before. 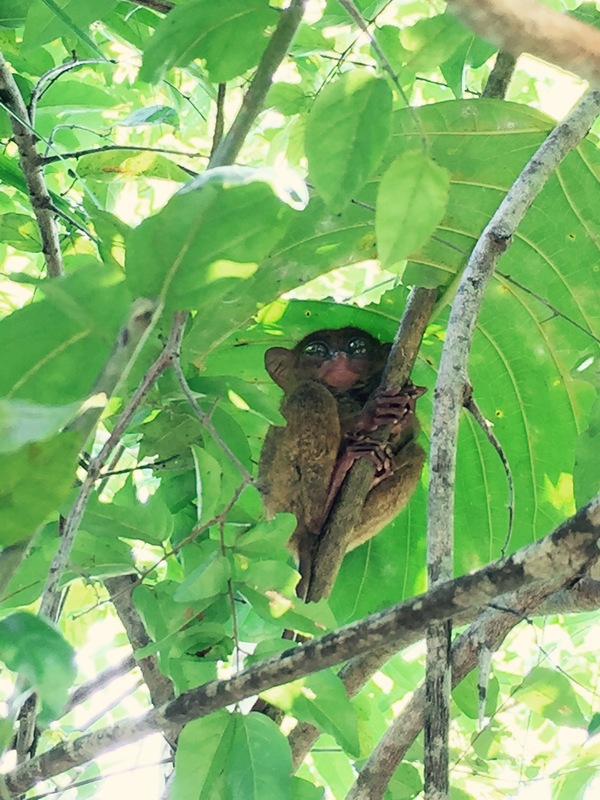 The next tiny creatures we visit is the one I’ve been waiting to see for 10 years – the teeny tiny tarsiers. 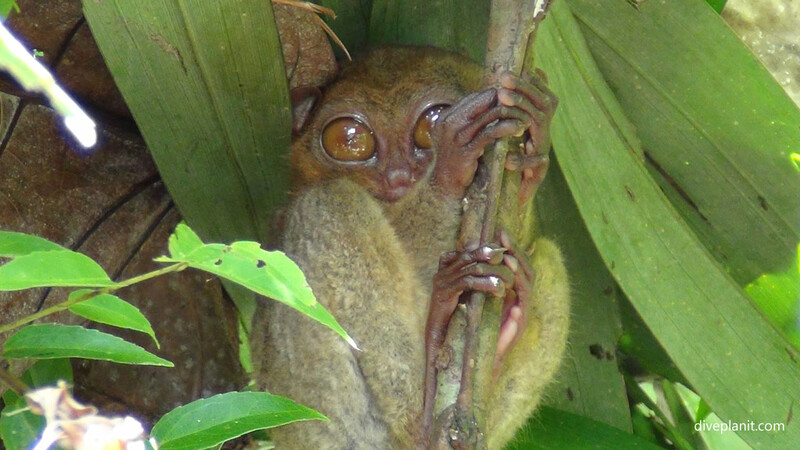 The tarsier is a pro-Syrian primate, a monkey with a tail, amongst the smallest of such primates in the world. They’re only 10-15 cm long, weigh less than 170 grams, and compared to their total size, they have the largest eyes of all mammals. They are also nocturnal so the ones you see dotted around the sanctuary and pointed out by the numerous staff are mainly sleeping quietly in the branches of trees. They can rotate their heads 360 degrees, I’m told they can kill each other with a sonic scream and if traumatised from touching and loud noise they commit suicide by banging their heads on something hard. Complex critters indeed. 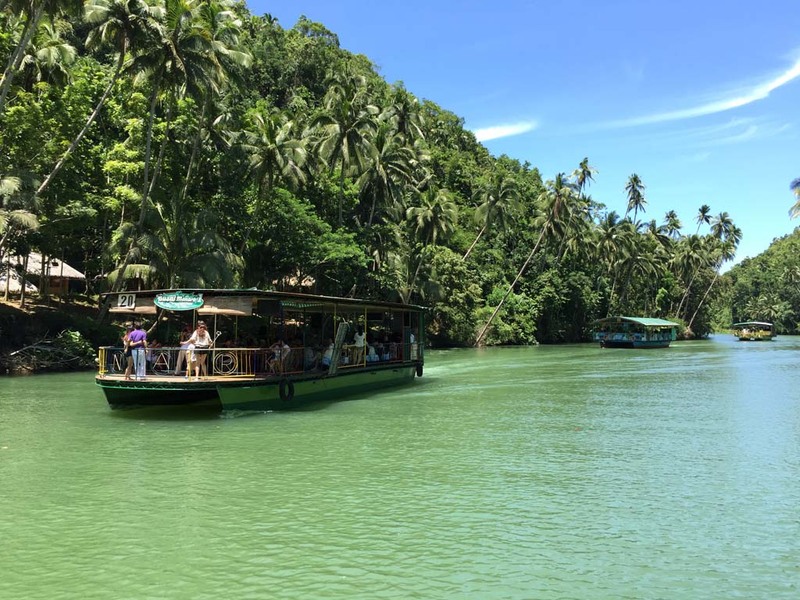 We stop next for a lazy buffet lunch, floating down the river Loboc on a large barge, entertained by a couple of musicians, playing an eclectic collection of songs that ranges from La Bomba to Country Roads. The round trip takes us up river to a waterfall, past a few riverside performances (your donation benefits the village mums). The jump-off point for the barge is just across the river from one of Bohol’s beautiful old churches, which, like the other two we visit; the Santa Monica church in Albuquerque and the beautiful Baclayon Church were sadly damaged in the 2013 earthquakes and are in various states of (dis)repair, slowly being reassembled as funds allow. It’s a quiet, slightly sad end to our tour of Bohol but at the same time peaceful walking through the cool stone hallways admiring the rather beautiful religious artefacts. For bookings and reservations, please: www.cebupacificair.com or call reservations on 02 9119 2956. The lowest year-round all-inclusive fares from Sydney to Manila start at $299 (AUS), with the lowest promotional fares offered starting from $99 (periodic seat sales). Previous Article Island-hopping voluntourism – this concept could catch on. Wow – I didn’t realise that the Philippines could be so interesting place. I love the monkeys. They look more like little aliens from outer space than anything else. I don’t know why it’s taken me so long to visit. And I don’t know why more Australians don’t visit! The landscape and culture are every bit as special as Bali or Thailand, the people are just as friendly, everyone speaks English – and now you can get a flight there for $99. I rate Cebu Pacific by the way – great service for a low cost carrier. 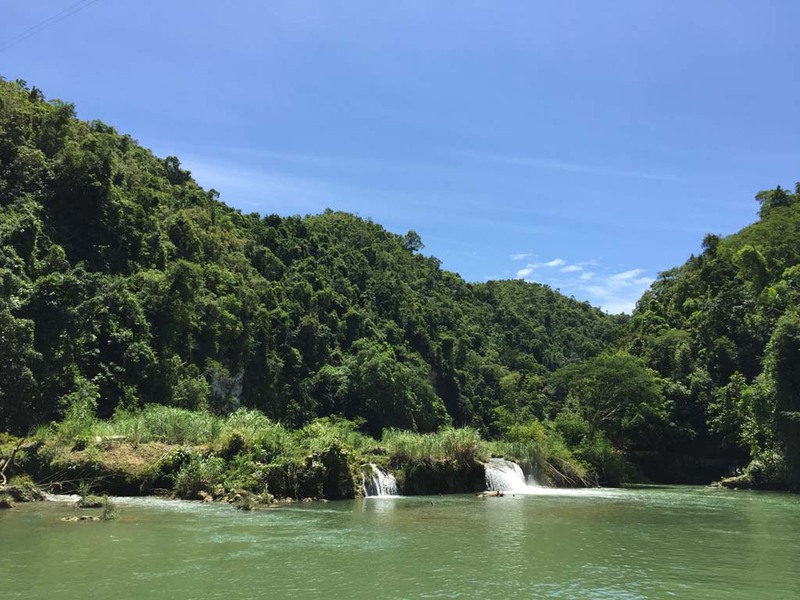 Thanks, Paula, I highly recommend it, Bohol and Palawan, in particular, are unspoilt – I recommend Cebu Pacific too – great service for a budget airline!